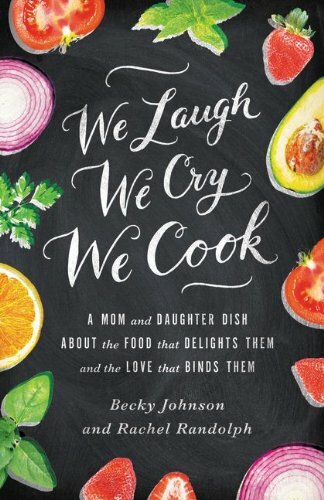 Trying to shop for a foodie friend or just planning your own list and not sure what kitchen item you might want or need next? These are some of my go-to, use almost daily, wouldn’t want to be without them items. Trader Joe’s Olive Oil with Pour Spout – I have bought at least six olive oil pour spout jars over the years and every one of them has failed me. The cork crumbled into the oil, the plastic spout slipped out every time I poured, the handle broke, the spout clogged… Recently, I tried the $7.99 bottle of Trader Joe’s olive oil. At __ ounces, that’s a fantastic deal. And the best part–the spout that comes with it stays put, doesn’t fall apart, doesn’t slip out! It isn’t as pretty as my others, but it’s not an eyesore either. And at that price, I don’t even have to mess with refills. I can just buy another bottle. Cute Easy Pour Spice Jars – I found these jars at a closeout sale at the container store Outlet. Of course I did. And of course, I immediately regretted not buying more. I love the three generous pour options on this set. It’s too generous for the table, but when I’m cooking, I can pour a teaspoon or two of salt easily without breaking out the big carton of Morton’s like I used to. I keep salt, pepper, and seasoning salt in them because I tend to reach for those most often when cooking. But I’d love one for my nutritional yeast, smoked paprika, garlic powder, onion powder. I have a lot of favs! I found this set from IKEA that while not quite as easy because you have to pop open the top, they are cute enough to leave on the counter and cheap. These are pretty too. I might have to snag a set of them for the seasonings I tend to measure out, like cumin and chili powder. Oh and these are nice as well but pricier. They have the twist lids I prefer, so if you don’t close them, they don’t look sloppy. Come Apart Kitchen Sheers – I use these every day for cutting up toddler food, to clipping flower stems, to cutting pizza. I have a red pair and black pair. I used to designate the red ones for meat (great for cutting chicken into strips and such) and the black for everything else–just so I never accidentally cross contaminated anything. Now I don’t need to do that since we don’t eat meat, but I still love having two pairs because I use them so often. Ikea Stainless Mixing Bowls – I have a lot of pretty (and pricey) mixing bowls, but I reach for these 95% of the time. They are lightweight, easy to clean, easy to store, unbreakable. Love them!! I have two really big ones, two medium ones and four small ones. The really big ones are wonderful for kale salads or kale chips. Plenty of room to toss a head or two of kale around in some seasoning or dressing. Pampered Chef Cutting Board – I’m sure there are other great cutting boards out there, but of the ones I have, this is my favorite. It’s simple, dishwasher safe, grips well to the counter so it never slides out from under me. Old Fashion Popcorn Maker – I wish we didn’t love this little guy so much…but we do! Jared’s mom bought him this for Christmas last year. I never liked popcorn and didn’t understand why Jared’s family loved it so much. But I’d never made fresh popped popcorn. Sprinkled with a little nutritional yeast, smoked paprika, onion powder, and seasoning salt…it’s so good. Rice Maker – I actually have a cheaper model, a $15 Rival model from Wal-Mart I think (probably on par with the $19 Black & Decker model on Amazon). It is fine. It would make a great under $20 gift. I use it all the time…but it’s not perfect. It sticks some and doesn’t have different settings for brown rice, so it’s a bit of a guessing game. If I were to buy one now, I’d buy this model. I mostly use it for quinoa and brown rice, but apparently you can cook all kinds of things in a rice maker. Who knew? Salad Spinner – Every healthy kitchen needs a salad spinner, in my opinion. Washing and drying lettuce without it is a pain…and when something is a pain, you’re less likely to do it (and therefore eat it). Bagged lettuces have their place, but other than delicate lettuces like baby spinach, I generally prefer buying heartier lettuces like kale or romaine by the head. A salad spinner makes it a cinch to wash, dry, and store for later use. It’s also perfect for washing and drying herbs like parsley and cilantro. The OXO brand is my favorite. If you shop sales, you can find a good deal on it. I found one last year at Kohl’s for $20 with a sale and a coupon. Cuisinart Stainless Steel 3.5-quart Saute Pan – I wanted a set of heavy-bottomed stainless steel pans last year for Christmas to replace my old warped pans that heat unevenly on my glass stove top, but I couldn’t decide which set to buy so I bought this one pan at a steep discount from Home Goods to see if I liked it (and stainless in general). I could not love this pan more. I use it every day. I plan on completing the set at some point, but if you just want to add one good pan to your collection this year, this is a great starting point. Mine is a different model number and came with a glass lid, but I think this one is basically the same thing. Vitamix – I finally got a Vitamix…and I’m a believer! Smoothies and soups and cashew queso and banana soft serve…oh my! I could do all of these with my blender and food processor…but Vitamix does it better and faster. I bought the refurbished model during their November sale. Today is the last day for that sale. If you use my affiliate promo code 06-009318, you’ll get free shipping anytime. I believe they are doing free shipping right now on all orders for the holidays, but if you use my code anyway, I’d be super grateful as I’ll earn a little kickback to put toward expenses related to running this blog. Luca and Company’s Little Helper FunPod – I talk about the FunPod all the time. As a mom, this is my absolute favorite kitchen product. I could never get all the cooking I do done without it. It safely elevates children to counter height so they can help in the kitchen or watch you cook, or play in the sink independently while you make dinner. Total lifesaver for toddler moms and dads (and Grandmas too). 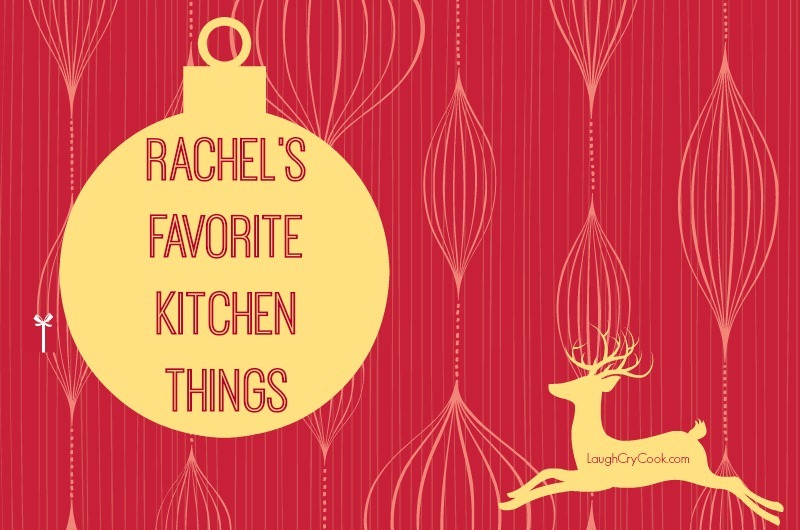 What are your favorite kitchen items?! I’m on the lookout for a better set of measuring cups and spoons and a go-to water bottle for sipping on around the house and throw in my bag or purse when I’m out and about. I was thinking of doing a favorite things for little boys post too. Would anyone be interested in seeing some of Jackson’s favs (or my favs for him)?